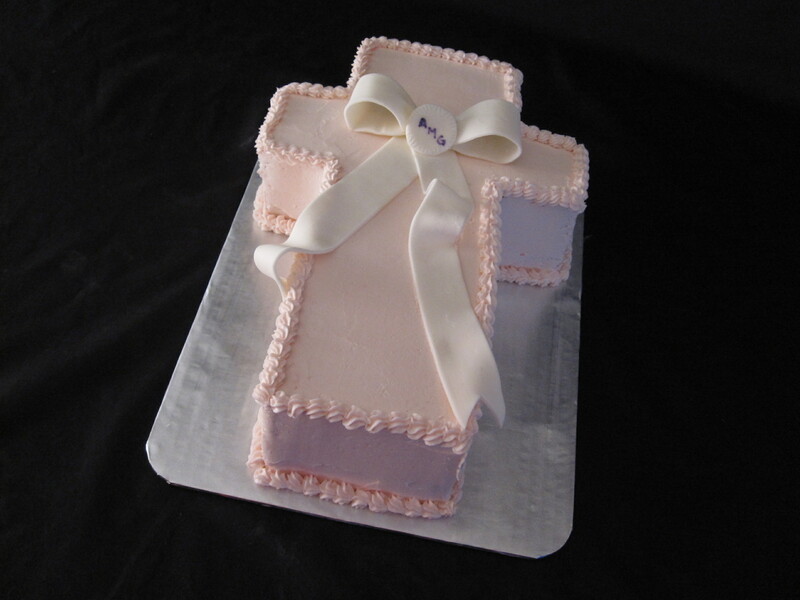 This fondant goth birthday cake was created for a 21st birthday. 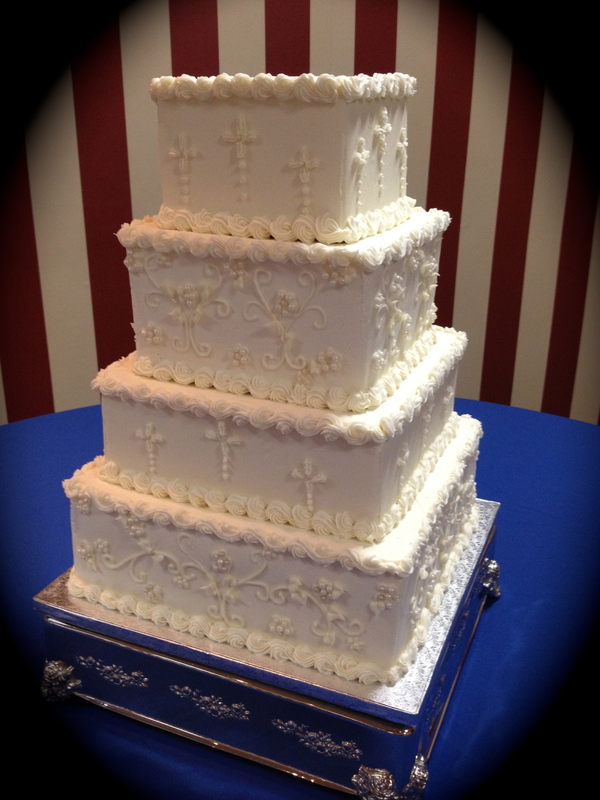 The cake was a spice cake with a fresh apple filling and a vanilla buttercream icing. 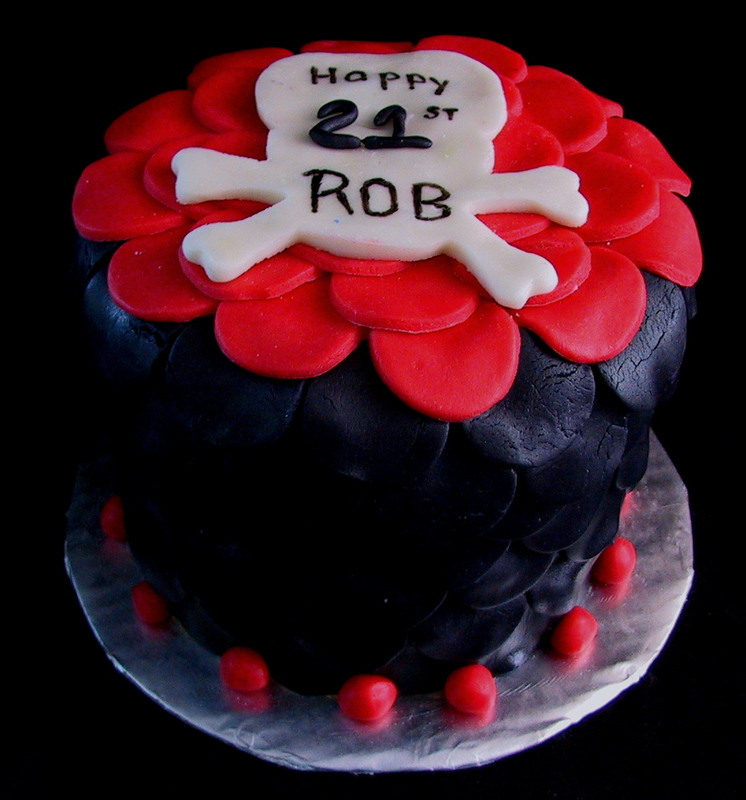 The cake was decorated with red and black fondant circles and topped with a white skull and cross bones.